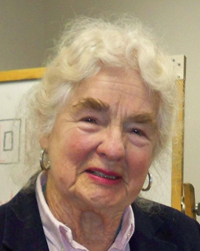 Marilyn Grace Alder Marquis, Ph.D., passed away with her family by her side on Monday, Aug. 26, 2013, at St. Luke’s Magic Valley in Twin Falls, Idaho. Marilyn was born Sept. 26, 1926, in Salt Lake City, Utah, to parents John Caine Alder and Grace Epperson Alder. Marilyn was married for 46 years to the late David M. Marquis, who was a Ph.D. graduate in organic chemistry from Harvard. Marilyn graduated from Granite High School in Salt Lake City, Utah, then went on to obtain her undergraduate degree in chemistry from the University of Utah. She continued her education, becoming the first woman to earn a Ph.D. in chemistry at the University of Utah. Marilyn also earned an M.B.A. degree in finance and management at Golden Gate University in San Francisco. In April of 2012, the Department of Chemistry at the University of Utah honored her with a Distinguished Alumna award. Dr. Marquis worked for several large corporations and government labs as an applied physical chemist; her research contributions are broad. She planned and managed research and development projects in ultra-high temperature chemical syntheses for the private sector firms Vitro Corp., DuPont Co. and Aerojet General Corp. She also coordinated major magnetic fusion research projects and co-managed a large geothermal-based power plant project for the Department of Energy. She was the founder of Alderwood Associates, a consulting firm which specialized in technology management and financial planning and control. An important element of her work was the application of capital budgeting techniques to commercial firms and individual investors. Marilyn was an active sportswoman participating in fly fishing, tennis, running, skiing and backpacking. Her hobbies included classical piano, rock hounding, gardening and wildflowers. By far, her favorite pastime during her retirement years was spending time with her family; listening to their banter as they attempted to elicit the occasional “Oh, piffle” out of her. She was an awesome grandmother. Affectionately called “Gram,” she spent every opportunity she had with her grandchildren sharing her love of learning. They would spend time doing puzzles, playing monopoly, fishing, going out for marionberry milkshakes, and studying the wildflowers that abound in her beloved Sawtooth Mountains near Stanley, Idaho. Marilyn was preceded in death by her parents, John and Grace Alder; her husband David Marquis; and her sisters-in-law Ann Alder and Sally Cairns. She is survived by her son James and wife Carol of Lafayette, Calif.;, son Rich and wife Stephanie of Stanley, Idaho; and four much adored grandchildren, David, Matthew, Erin and Ramsey. She is also survived by her brother John Alder and his two children Cindy and John, and her brother-in-law Edward Cairns and his three children, Jane, Michael and David. At the time of her death, Marilyn was on the board of directors of the Sawtooth Interpretive and Historic Association (SIHA) and was actively involved in the restoration of the historic pioneer Shaw Cabin located in the Stanley City Park. In lieu of flowers, the family is requesting that donations be made to SIHA (new.discoversawtooth.org). Final resting place will be the Salt Lake City Cemetery in the Caine/Alder Family plot. Memorials will be held for Marilyn in Lafayette, Calif., and Stanley, Idaho, at a date to be determined.